Did you misplace your Casio user manual or purchase a machine that did not have one? Well, you can stop the search because we've gathered as many Casio label maker Operator Manuals that we could find and organized them by model number so you can easily download (free of charge). Just select your model from the menu below, confirm the email address you'd like it sent to, and we'll send the link download the Casio manual you need - it's that simple! Find New Casio Label Printers at great prices here - same day shipping!! Please Note: To view and print Casio User Manuals, you will need adobe acrobat reader. If you don't have it, you can download it free. If you can't find the user manual here or if you're looking for driver updates or software, check Casio's Support page here as they have most models - we try our best to keep up. Casio label printers remain popular options for business professionals and consumers. These labelers serve as affordable, efficient choices, making them exceedingly valuable. Plus, the label makers are easy to manage and proven to perform for years to come. However, questions may arise about your label printer. And if you don't have your owner's manual, it may be tough to find the information you need to maintain your labeler. Thanks to the Casio user manuals from PtouchDirect.com, however, you'll be able to gain actionable insights into your Casio labeler from any location, at any time. PtouchDirect offers in-depth user manuals that are available online. As a result, you can access these guides from your desktop computer, laptop, smartphone or tablet 24 hours a day, seven days a week. Each Casio user manual boasts a combination of step-by-step instructions, recommendations and tips that are both easy to understand and practical. That way, you'll be able to maintain the quality of your labeler and ensure it performs consistently for an extended period of time. Furthermore, PtouchDirect offers hands-on support for its customers and is prepared to answer any questions or concerns you may have. The PtouchDirect team fully understands the value of your Casio label printer and will work with you to address your concerns and queries. Plus, each PtouchDirect team member serves as a label making expert who stays up to date on the latest label making innovations. And no matter who you contact at PtouchDirect, you're certain to receive dependable support any time you need it. When it comes to your Casio labeler, you'll want to do everything possible to keep it working properly. Thanks to PtouchDirect, you'll be able to capitalize on top-of-the-line support from a proven company. 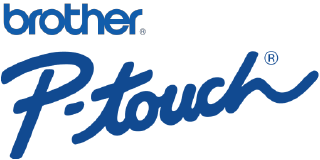 PtouchDirect has delivered outstanding Casio labeler support for years and continues to explore new ways to assist its clients. And when it comes to your Casio labeler, you can take advantage of the resources and support available from PtouchDirect to optimize the value of your label maker.